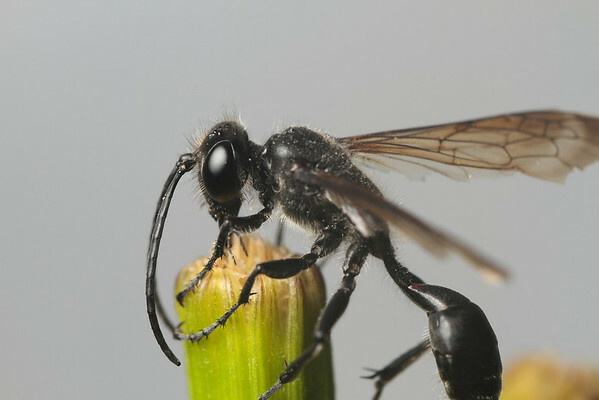 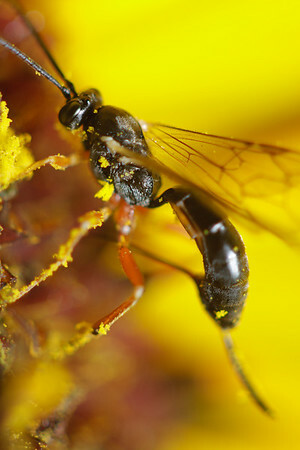 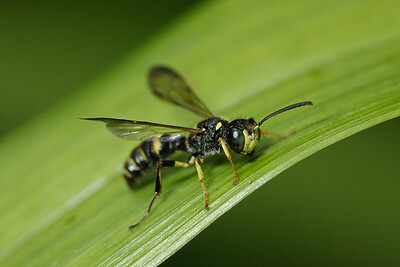 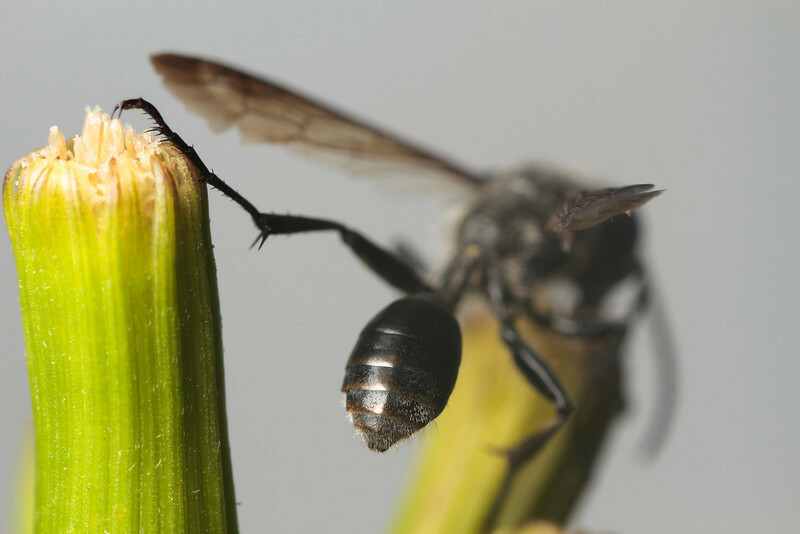 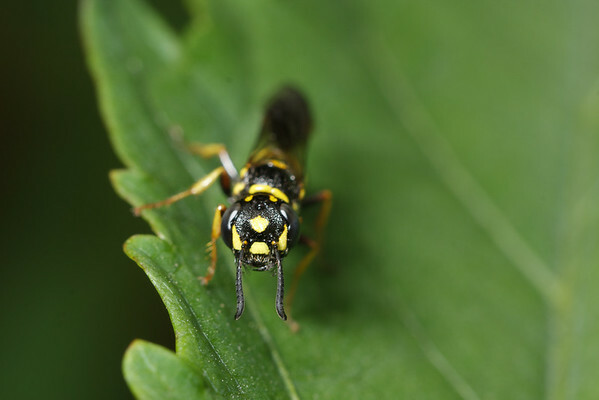 The apoid wasps include the thread-waisted and crabronid wasps. 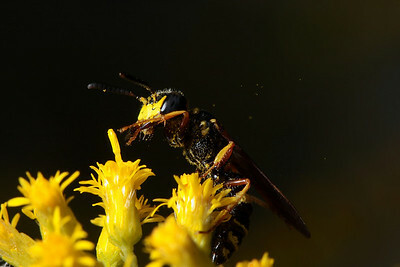 Generally harmless to humans, though they often look more intimidating than they really are. 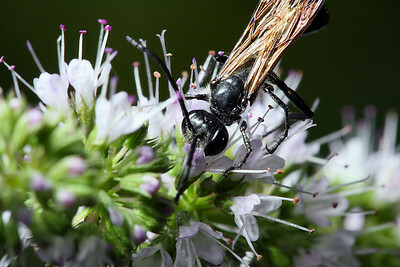 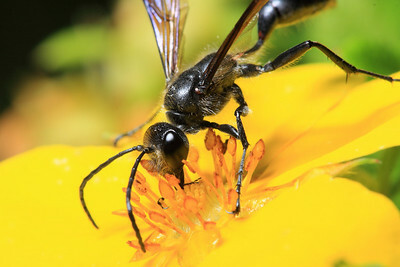 Thread-waisted wasp feeding on nectar -- I believe it's a great black wasp (Sphex pensylvanicus) based on the size and time of year.